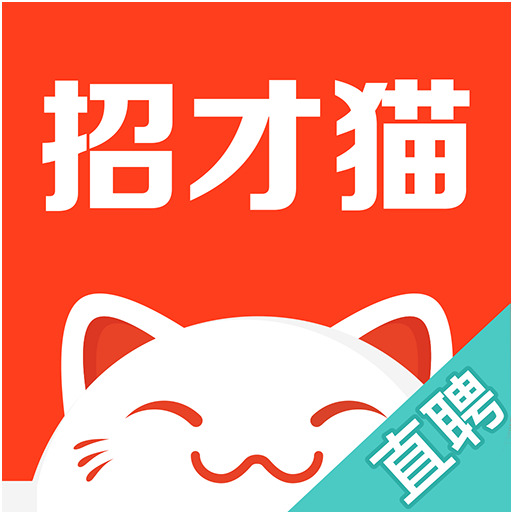 担心孩子们一个人学习数学太无聊？那就让会做算数的小恐龙来陪孩子们一起学习数学吧。主要关注孩子们入学后的数学学习，1到1000之内的加法，减法，以及1-100之内的乘法，1-20 内的排序。分数等内容孩子们都可以在这里体验到。 A Must have Have fun learning School Math8 Lovely educational and challenging number games for elementary school kids with Dinosaur theme!A set of graphically appealing math games, aimed for kids between 512.Your kids will enjoy playing these lovely math games, sharpen his math skills as they advance from game to game. 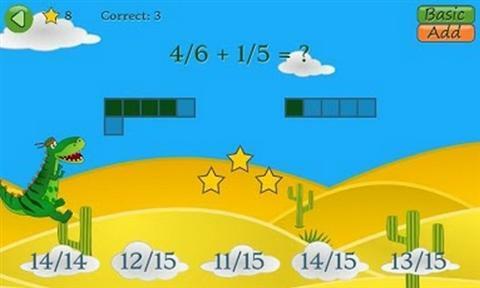 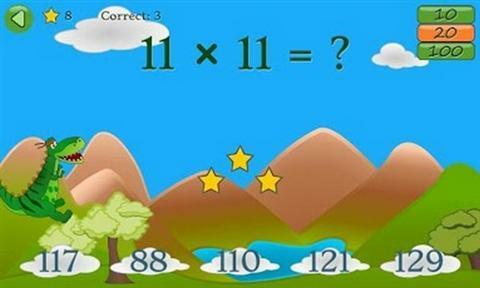 With strong feedback system, score board, visual & audio encouragements your kids will play with math as they have never done before.Bright, joyful graphics in each game provides additional layer of fun to the game.HD Graphics, suitable for new HD devices. 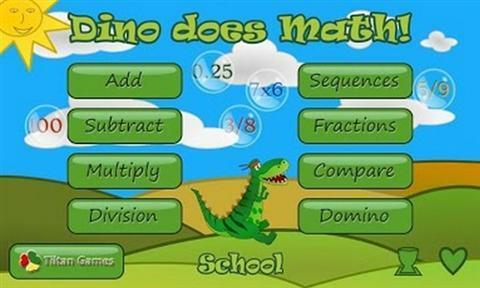 There is no better place to sharpen elementary math than in Dino does School MathHave Fun!